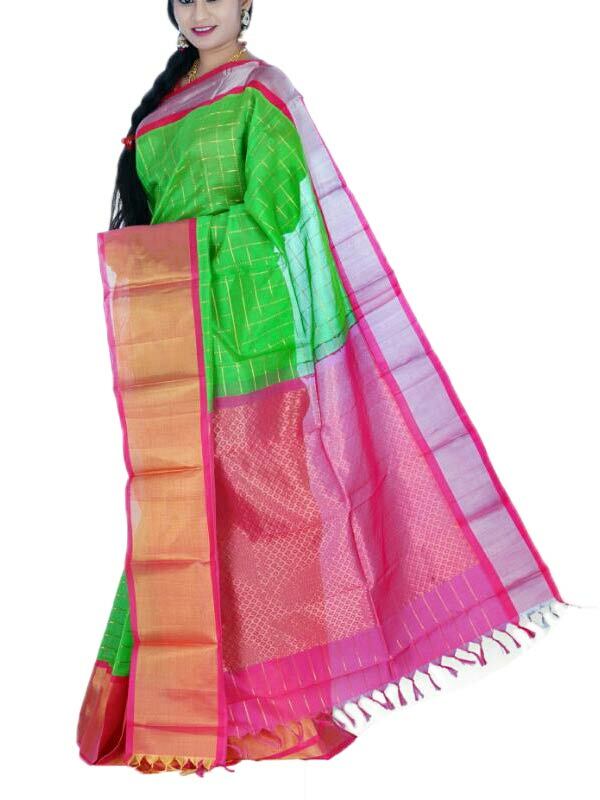 Kuppadam Handloom sarees have distinctive Zari pattern. But its really weaving pattern of the body of the saree that stands out for its notable squares, created from an interlocking weft technique known as Kuppadam. Motifs such as Peacock and Reudraksha are very common.